I’ve now spent several months preparing for our road trip to Texas and have learned it is not as easy as just jumping in a car and heading south. 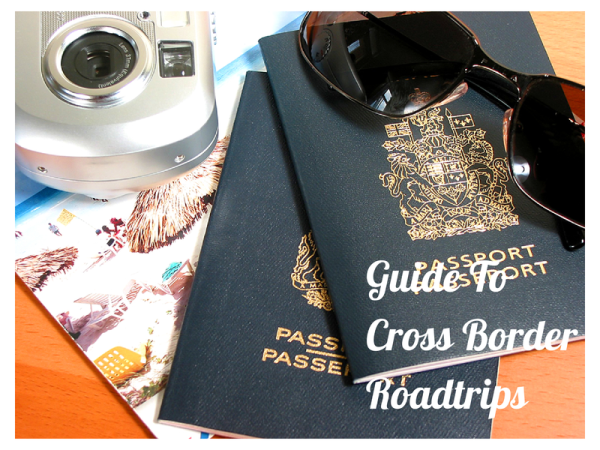 Here are a few things to consider when taking cross border roadtrips. Snacks: Bread, cookies, crackers, granola bars, and cereal are generally admissible especially if they are a purchased processed food. Candy and chocolate are also okay. Cheese: Solid cheese (cheddar) and things like Feta Cheese and Mozzarella are generally allowed as long as they don’t contain meat. Don’t bring anything unpasteurized or cheese that pours like heavy cream. Dried and canned fruit: Canned food besides meat is generally admissible and so are dried fruits. Milk: Milk for an infant for a few days is admissible. Don’t be expected to be allowed to bring more than a 2 day supply. Formula: If you are bringing in formula, it must be sealed and in original containers. I would only attempt to bring formula from Canada. I have done so in the past and have had no issues. Nuts: Any cooked or processed nuts are generally allowed. Fruits and vegetables: Pay attention. You must declare every fruit and vegetable you are bringing in. Both need to be cleaned by you before entry into U.S. will be granted. Any fruit or veggie with a label from Canada will generally be let in. They have to be grown in Canada and not just bought there. I would seriously advise just buying fruit when you cross the border. Meat: Honestly don’t bother. If you really want to bring meat, you need a receipt from the store as well as labels of where it was packaged. Trust me, there are grocery stores in America. Big ones. We try very hard to eat organically so part of my road trip planning has been dedicated to locating stores close to where we are traveling. I highly suggest avoiding bringing food over the border based on the sheer hassle of it all. If you do go ahead and do it, make sure to declare your food. Otherwise, you may face heavy fines or have your food taken from you without compensation. These rules tend to apply exactly the same for U.S. visitors to Canada. 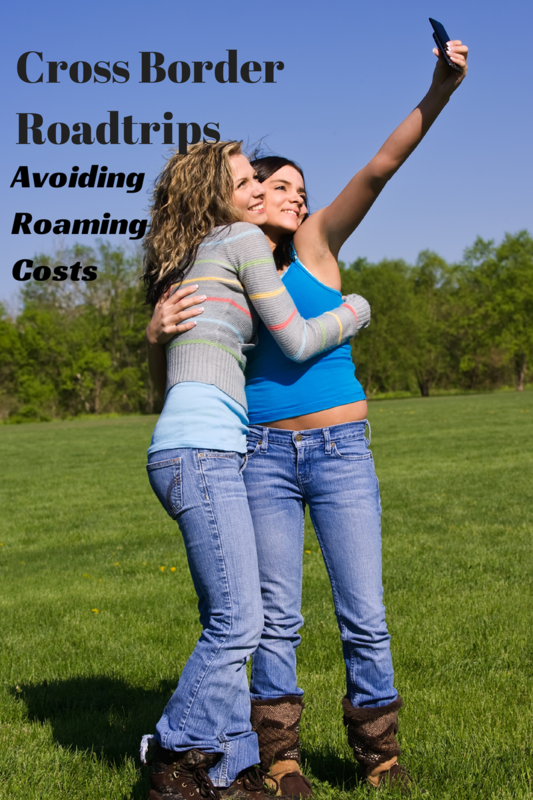 The word “roaming” induces fear in anyone who has traveled with their own cellphones. 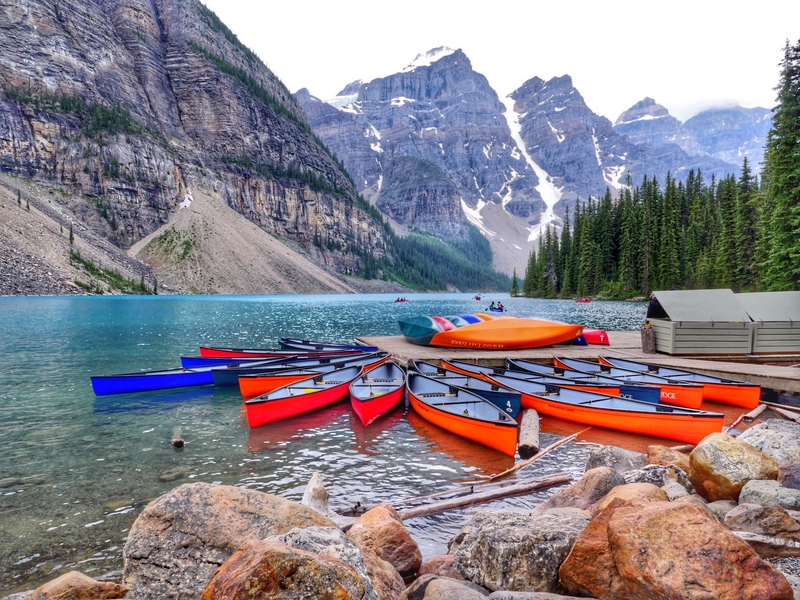 The laws about roaming with Canadian companies are slowly changing but you can still rack up quite a large cell phone bill in a short amount of time. My original plan, as we are spending more than a month in the U.S., was to simply buy a pre-paid phone or try very hard to find free wi-fi. The issue with that is that as a blogger, I must to do real-time updates. Luckily, I was recently contacted by a company that had a solution to my roaming woes. Telaway offers SIM cards to Canadians and Europeans traveling through the U.S. to insert into their cellphones. Your phone actually needs to be unlocked but the cost of doing that will be much smaller than the cost of roaming. Telaway offered me free data and calls while I am in the U.S. in exchange for an honest review of their product. I am under no obligation to tell you it’s great if it isn’t. I am excited to test the SIM card and will let you know what I think. For 60 days of unlimited cell phone and data use in the U.S., the SIM card from Telaway costs $110. Frankly, I spent more than that on roaming when I was in Detroit for four days and needed to use the GPS on my iPhone a few too many times. I’ve discussed this before but it is important to bring up again. You cannot cross the border without both of your children’s parents without a letter of consent. 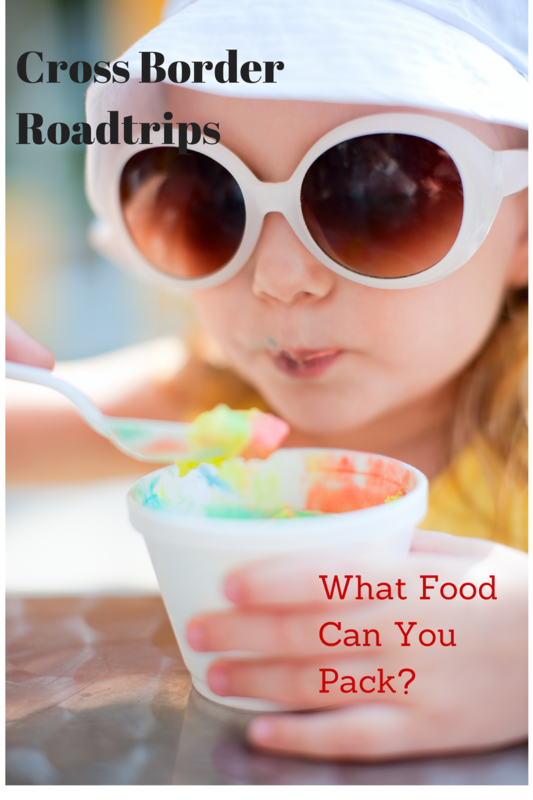 If taking a solo road trip like we are, you need permission from the other parent. The letters are quite easy to draft and only really require where you are going and for how long. You are not required to have the letter notarized but I highly recommend it. If doing so, make sure the lawyer uses a notary stamp. I recently got into a little bit of trouble at a border because the lawyer had signed the letter and not stamped it. We were admitted to the U.S. but given a stern warning. Right now, kids under 15 can cross into the U.S. and Canada without a passport but will require parental consent and a birth certificate. Your kids need passports anyway. Get them now. Don’t even think about leaving yours at home. Cross-border road trips are definitely worth it so don’t let the above scare you away. Check the regulations for the country you are entering and plan to follow their rules. It will be a much easier and more enjoyable crossing if you do. Disclaimer: I was offered a free SIM card with unlimited data and calling while in the U.S. from Telaway. Great post! One that I could have used for our US/Canada crossings a few weeks ago between Montreal and Vermont! 😉 We had some pre-packaged snacks and formula in the car with us on both crossings (Canada to US and then US back to Canada) with no issues. It frankly didn’t even occur to me to consider. It’s a huge border… it’s not like pathogens can’t cross it already just because of the geographical proximity. But rules are rules I suppose. As for cell phones, it amazes me that the US and Canadian companies can’t make this easy. Texting in Canada was free for us (we have Sprint in the US) and phone calls were reasonable at 59 cents per minute, but data was INSANE. I opted for hotel WiFi for the few days we were in Montreal and that worked fine. Looking forward to hearing all about your road trip.